See updates after the jump. TWC/NY1 News reports that NYU Langone Medical Center has joined in the bid by real estate developer Fortis Property Group, a bid that was earlier tabled by the SUNY board, to close Long Island College Hospital, convert most of its campus to residential use, and provide on the site a “medical mall” that would include ”an urgent care center, physical therapy facilities and office surgery.” This proposal, unlike the one by Brooklyn Hospital, wouldn’t include an emergency room with ambulance service. On a different but related subject, see Denis Hamill’s Daily News column about Stanley Brezenoff, Mayor de Blasio’s choice as labor advisor, and his efforts to kill LICH in order to “unlock” its real estate value. Read the Crain’s article for the details about this proposed deal: Smells bad! This is a prospect that should be supported by Brooklyn Heights. Joe Lhota, remember he lives in the Heights, was recently appointed to a senior position at NYU Medical Center. NYU Langone is a high quality health care system. We need that and they need to expand to compete with New York/Presbyterian and Mt. Sinai. Most of the hospital will be sold off for apartments in this deal. There will no longer be an inpatient full-service hospital. If you are really sick, you will be transferred to NYU in Manhattan or Lutheran. They should take it over as a full service hospital, that’s what we need. We don’t need a watered down “urgent care” facility. Peoples health and safety should not be traded off to make some rich developer even richer. Just like the BPL. Follow the money. Agree that it should be a full service hospital. But that may mean that many specialized diagnostic and treatment services would be provided at NYU Langone. And some of the physical plant should be consolidated to reduce the overhead associated with too much space for the number of inpatient beds needed. Ann, are you saying that there were too many beds at LICH.? Because if you are, they were filled to an over 90% capacity before SUNY pulled all the patients and doctors out. nyu/langone is the type of world class facility that Brooklyn needs. It will attract folks from all over that wouldn’t normally want to go to lich. And, with this proposal — if you do read it — folks will not be getting that world class treatment in Brooklyn — if they are very sick and need hospitalization, they will be sent to Manhattan. So much for Brooklyn healthcare. Tried LICH and I won’t go back. Tried NYU and have kept returning as a satisfied healthcare consumer. I welcome their arrival in the nabe. Blame the rich! Storm the castle! I hope Mayor deBlasio is still involved with this issue. We need his help to keep LICH a fully operational hospital. There’s also an Urgent Care facility now under construction on Court Street, between Montague and Remsen; the Mount Sinai-linked facility recently opened in the Pierrepont tower; and other facilities recently opened on Atlantic Avenue at Nevins Street. Bklyn Hghts “deserves” a full service hospital? That pit was losing $400m per year. Unless you have a plan to bridge that deficit, your sense of entitlement isn’t going to bring you a full service hospital. Evil rich people. Stealing from the 99%. Look everybody there is a disconnect here within the Community. New Yorkers voted overwhelmingly to save our hospitals. NYU initial proposal is to partner with Developer Fortis to scale down LICH. There will be no REAL emergency room. No critical care services. 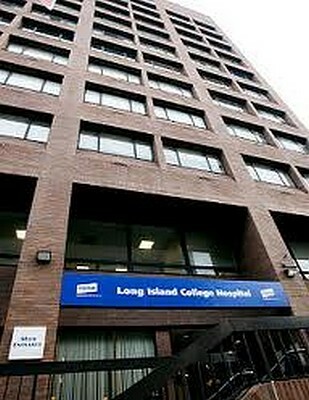 LICH will be converted to an urgent care room and NYU transfer station. If you believe you will come to LICH having chest pain and it turns out to be a heart attack, you will have to be transferred to NYU or other hospital. Lotsa luck. The Community has rallied for over a year, joined our elected, collected over 15,000 signatures, daily vigil LICH, court watching, community members and hospital staff arrested demonstrating in support of keeping hospitals in our community Open for Care. LICH operators continue to seek to monetize the real estate belonging to LICH. It is now time for all of us to save LICH and bring it back to a place for innovation and world class hospital our families deserve. Thank you for stating the heart of the matter so clearly! I don’t think you understand the word “deserves”. No one “deserves” convenient medical care. Its a benefit of living near a medical facility. There are millions of American who live hours away from a full service ER. If you want the convenience, move. If you have contradictory evidence to the $400m deficit figure, please share it. Claiming my number is “widely accepted yet inaccurate” is a weak retort and not terribly convincing without the evidence. I was referencing the IRS return posted on this site previously. The deficits were occurring before these activities started. Most of these actions have been taken to reduce the red ink. A victory for LICH today. SUNY Trustees vote to table NYU/Langone-Fortis sale of LICH for Condos and Medical Mall. We demand Hospital Services for All and not a Medical Mall. If SUNY would bring back the doctors, OR and all ambulances LICH would be making money. SUNY is losing money as they were the ones to shut down all the services. They also stated they would return the doctors so where are they! LICH is a dead horse. Close IT! There is a hospital less then one mile from LICH. LICH has lost money for close to 20+ years. LICH is 500 million in Red. Wake up poeple and smell the roses. Who in their right mind will pay to keep LICH a full service hospital? No One. I agree this is a great idea and LICH needs a major overhaul. I agree never go to lich even on a bet. They have worst quality care in NYC Hospitals. It has lost money only because corrupt greedy management purposefully bankrupted it so they could engineer this land grab. You Idiot.